Manchester United can go unbeaten for 11 games across all competitions when they face Fulham on the road this weekend. The Red Devils have dropped points on just occasion since Ole Gunnar Solskjaer took charge of the club and this sees them within two points off Chelsea, who are holding the final Champions League qualification spot. Spain international David de Gea has been building up form as the season has progressed and he should feature between the sticks without any concern. In the defence, Diogo Dalot could get the nod over Ashley Young for the right-back spot with Luke Shaw featuring in the opposite end. At the heart of the backline, Victor Lindelof could be partnered alongside Phil Jones, who could be rewarded with a start after his recent contract extension. In the midfield, Nemanja Matic and Ander Herrera have remained constants under Ole and no changes are expected barring an injury of any sort. Ahead of them, Paul Pogba should retain his position in the number 10 role where he has excelled under Ole with six goals and five assists in the past eight games. In the frontline, Romelu Lukaku could earn a rare opportunity upfront ahead of Marcus Rashford. 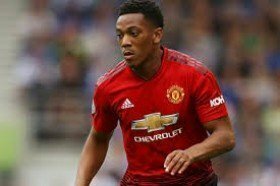 Either side of the Belgian, Anthony Martial and Alexis Sanchez could feature and the latter needs a strong performance with his club future being seriously called into question. Chelsea star on the cusp of Real Madrid move?